When comparing PayAnywhere vs Square, it’s challenging to see which one is best because both offer a free card reader and app with business management tools. Even credit card processing fees are similar: PayAnywhere charges 2.69% per transaction; Square charges 2.75%. Choosing one with the features you need will be your deciding factor. PayAnywhere offers attractive in-person transaction rates compared to Square, so it’s best for those who are primarily accepting credit cards for payment using a mobile credit card reader. Although PayAnywhere fees for online transactions are slightly higher than Square’s, you shouldn’t notice much of a difference in cost if you sell online occasionally. Square’s flat-rate fee may be slightly higher than PayAnywhere’s, but you won’t run into any inactivity fees, plus you’ll get access to an easy-to-use app and online store. Square is an excellent choice whether you run a small cafe, ecommerce store, or you take payments at pop-up events. A brick-and-mortar store owner might want to consider opening up an account with a merchant services provider instead of Square or PayAnywhere to save on processing fees. Chase Merchant Services offers interchange-plus pricing, which makes more sense for small businesses averaging $20 or more in tickets and $30,000 or more in monthly sales. If you’re trying to choose between PayAnywhere and Square as your payment processor, then you’re looking for a convenient and easy way to accept credit cards, and you want the best price. These all-in-one processors are similar in many ways, so we looked at how well each handles basic business management through their apps, the cost over time, customer support, and whether either option scales well with a business. Pricing: We looked at the free and paid plans from PayAnywhere and Square, and how the credit card processing fees change with each. Ease of use: Both payment solutions offer free apps that are easy to use, so we looked at how intuitive the features are, how complete each point-of-sale (POS) app is to use, and considered each apps’ stability. Hardware: PayAnywhere and Square offer free card readers and they sell advanced versions, so we looked at all the options. eCommerce: We considered how each company handles ecommerce sales for its merchants. Sales and inventory: We looked at the POS features of the apps and compared how each allows you to track and manage your sales and products. Customer management: We compared the two payment processors’ options for managing customers and their information. Integrations: We looked at which third-party apps you can integrate with PayAnywhere or Square to help you manage your business more effectively. 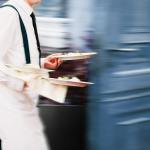 Employee management: You should be able to set employee permissions, track who’s selling what, and be able to track time and use it for payroll. Reporting and analytics: We looked at the reporting features for PayAnywhere and Square to compare the number of and value of reports. Customer support: We compared the availability and value of customer support you get with each company, and looked at the support center or knowledge base each offers. Although we found PayAnywhere to be less costly in some situations, Square takes the top spot for being a better overall value for most small businesses. From the free account and easy setup to its feature-rich POS system, Square is a better option for small businesses that need a mobile, in-store, and ecommerce solution. At first glance, it seems that PayAnywhere is a better choice than Square, at least when you compare the payment processing fees. While the flat-rate fees from both companies are similar, and you get a free credit card reader from each, there are some big differences in reporting and customer profiles, which Square handles well. PayAnywhere offers three plans: Pay As You Go, Standard, and Custom. The highest tiered plan requires you to get a quote from the company, and it’s meant for businesses processing $30,000 or more each month. We looked at the two most common plans for comparison. You technically have two ways of accepting credit cards using PayAnywhere as your payment processor. Accept in-person with a card reader or terminal, or virtually using the PayAnywhere Inside web app, where you’ll enter credit card information manually. The biggest difference between PayAnywhere’s options and Square’s is that you cannot accept credit cards using a payment gateway online with PayAnywhere, such as with the online store that Square provides for ecommerce merchants. PayAnywhere offers a free mobile credit card reader, as does Square, but it goes one step further by making its free option a two-in-one reader that can accept magstripe (swipe) or EMV chip (dip) cards. It uses Bluetooth to connect to your iOS or Android mobile device, and you’ll need the PayAnywhere app downloaded to use with it. Alternatively, you can purchase the three-in-one PayAnywhere credit card reader ($49.95), which allows you to accept magstripe, EMV, and contactless cards (Apple Pay, Google Pay, and so on). 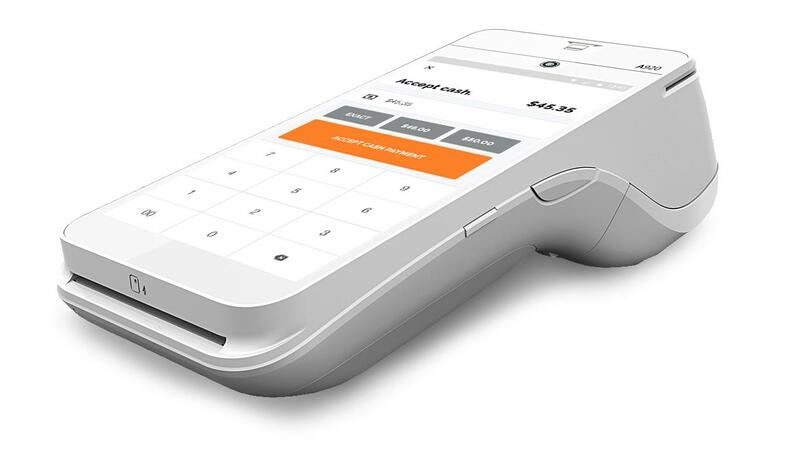 PayAnywhere also sells a smart terminal ($349.95 purchase, plus $9.95 monthly), similar to the one Square offers, which accepts all credit card payments, has a built-in receipt printer, and includes a barcode scanner, something missing from Square’s terminal. Comparing PayAnywhere versus Square when it comes to smart terminals, PayAnywhere’s hardware wins, thanks to the built-in barcode scanner. Accepting credit cards using your PayAnywhere credit card reader, app, and mobile phone is similar to Square. PayAnywhere allows you to pre-authorize a credit card in the app, which means you can open a ticket, add a credit card, and keep a running tab going, which is helpful if you’re running a small cafe, brewery, or bar. Square also handles open tickets. PayAnywhere lets you split tickets, add tips, and accept signatures with purchase. You can also accept cash payments and record it in the app for your records in PayAnywhere. PayAnywhere allows you to pre-authorize a credit card to create an open ticket and start a tab for a customer, a feature that Square has too. When comparing inventory management in PayAnywhere versus Square, it’s PayAnywhere that comes out on top. Adding products is easy, whether you choose to add them one by one or by importing using a spreadsheet, like a CSV file. You’ll have access to your inventory through the mobile app or on the PayAnywhere Inside web app, and you can set up low stock alerts. The difference is that PayAnywhere lets you use your mobile device’s built-in camera as a barcode scanner, which streamlines the checkout process. Square has not yet offered this feature. Technically, you can use PayAnywhere’s invoices or virtual terminal in the web app to accept online orders. Either way, you’ll pay the same keyed-in rate PayAnywhere charges. However, there isn’t a clear way to set up PayAnywhere on an ecommerce website or integrate with a shopping cart system to accept payments. PayAnywhere includes a section where you can save customer information, but it limits you to including name, email address, and phone number. Typically, for recurring invoices, you’ll have an area for notes and address information, at least. There are also no marketing integrations to connect to your customer database. PayAnywhere lets you save customer information, but it’s more limiting than Square, which lets you include an address and notes on your customer, as well as save credit cards on file. This is the area in which PayAnywhere is the most limiting, as there are only two integrations the company lists: QuickBooks and Homebase, both of which are available for Square. While the accounting integration is helpful for your books, and Homebase seamlessly integrates to give you a time clock and scheduling features, it isn’t enough. You may need appointments, email marketing, and more customer relationship management (CRM) features. In the PayAnywhere Inside app, you can set up user permissions and roles for employees, such as manager, cashier, and other staff. For scheduling and a time clock, you’ll need to integrate Homebase, which comes with its own price tag. There’s a free version, but it’s limited to one location. Square offers a few different plans, but Square for Retail and Square for Restaurants are specific packages for brick-and-mortar businesses that need a complete POS solution. Those plans start at $60 per month. The fairest comparison to PayAnywhere is the standard Square POS plan, which includes no monthly fee. Square gives you a few different ways to accept payments. You can accept payments in-person, online, through an invoice, or virtually using a manual method of keying in the credit card information. Square makes it easy for you to set up an online store for your business and start selling products quickly. When you sign up for a free account with Square, you’ll get a free card reader for your mobile phone. It only accepts magstripe credit cards, but you can buy a Square reader for EMV chip cards ($35) or the reader for chip and contactless payments ($49). All the Square readers are compatible with iOS or Android devices, but only the chip and contactless one connects via Bluetooth. The other options include a Square terminal, which includes a built-in receipt printer ($399). It has no monthly fee associated with it, but its processing rate changes to 2.6% plus 10 cents per transaction. There’s also Square Register ($999) and Square Stand (only for iPads, $199). The standard method of running a sale in Square is similar to any other register, regardless of your choice of Square hardware. 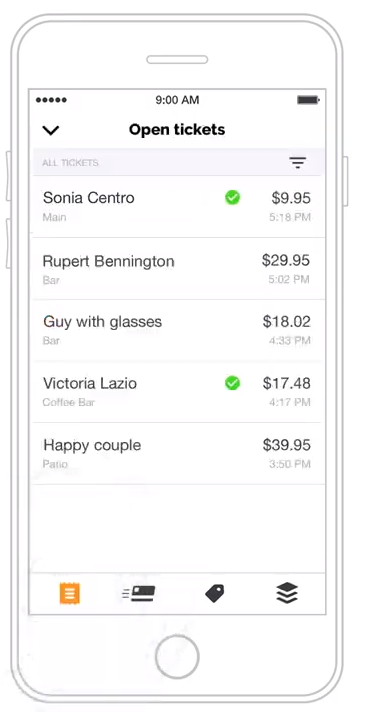 Like PayAnywhere, Square allows you to create an open ticket, split tabs, and add a tip. You can also add notes on a sale with Square, a feature not available with PayAnywhere. 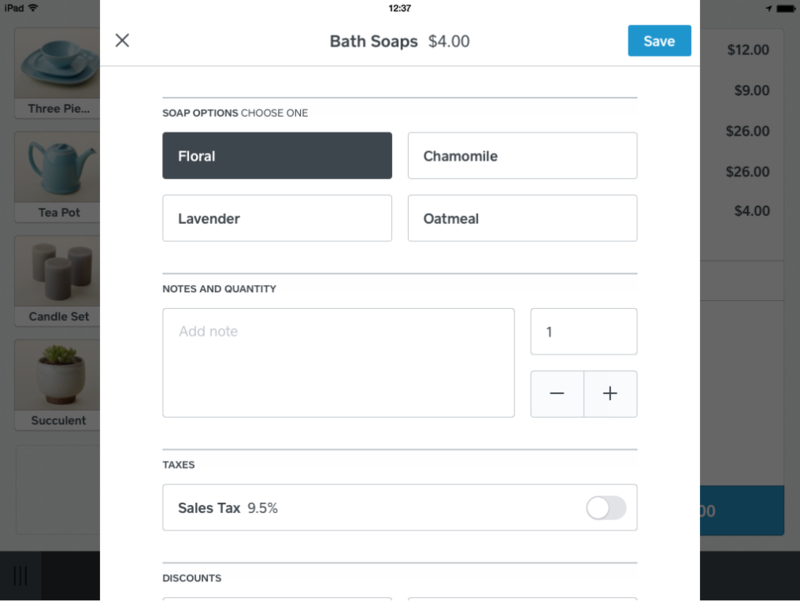 Square lets you choose variants, quantity, sales tax, and discounts on the sales screen, making it easy for anyone to ring up a sale. The inventory management feature in Square includes the basics you would need to add products, track stock counts, and include variations. Plus, you can do a bulk import of items if you have an existing spreadsheet. It doesn’t differ much from PayAnywhere’s inventory option. Like its competitors, Square includes a low stock alert you can toggle on or off to prevent overselling on an item. Though Square is best known for its mobile card reader, it’s also inclusive of online sellers. You can use Square Payments with your preferred online shopping cart, or use Square’s partner Weebly to create your online store. 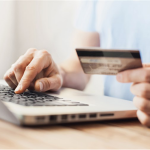 The benefit of having an ecommerce solution is that you’ll have all the tools you need, a payment gateway in Square, and you won’t have to pay the higher virtual processing fee, which is what PayAnywhere offers. Square includes more than just contact management with its free POS app. You can save customers to your system and add information, such as name, email address, phone number, address, and notes for each customer. You can also track how much each customer spends and what they buy from you, helping you give them more of what they want. If you have regulars to your business, you can keep their card safely on file. Square employs a variety of security measures to stay PCI compliant, keeping your customer’s data, and yours, safe. Plus, you can send customers messages directly from the app, which you cannot do with PayAnywhere. You can see how much and how often a customer spends at your store with Square’s customer management features, which can help you with targeted marketing. Square’s app marketplace features many more third-party apps you can use to help complete your POS solution than the two offered by PayAnywhere. Connect QuickBooks or Zoho Books to keep track of books and handle your accounting, or use Homebase or TSheets for employee management (though Square offers its own employee management, too, for a monthly fee). From loyalty apps to insurance programs, you can find many of your business solutions in Square’s marketplace. 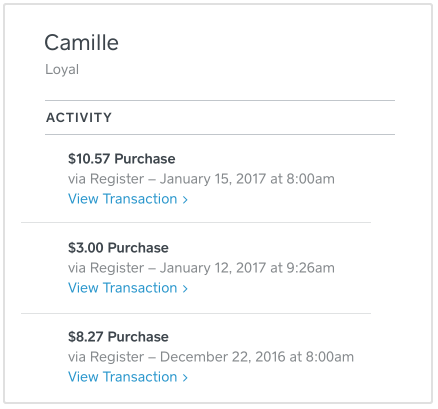 The free employee management features within Square are limiting, as are PayAnywhere’s. You can set up user permissions for different staff members, and mobile staff can accept payments or issue refunds through the POS app. You’ll have to use a third-party app for a time clock and scheduling, or you can sign up for Square’s optional employee management add-on for $5 per employee. Setting up and using PayAnywhere and Square are equally easy, but when you get to the reliability of each payment processor, you can break that tie and give the win to Square. Just comparing how intuitive each app is designed, Square pulls ahead. Getting started with PayAnywhere is easy enough. If you choose the Pay As You Go plan, you’ll simply choose the reader you want, fill out a form with your contact information, and then you can sign in and start setting up your profile and inventory. The PayAnywhere app is easy to use, and it includes a Test Drive feature that allows you to try it out before you commit. Intuition as it applies to apps and payment processing software is such a subjective thing, but when comparing PayAnywhere to Square, it doesn’t quite hit the intuitive mark. You can switch between a typical terminal view and retail view, and it isn’t immediately obvious where to go to find inventory (PayAnywhere labeled this setting Themes). Despite how easy PayAnywhere makes it to start accepting credit cards for payment, it has some issues. The app often freezes, won’t load photos, and crashes, or you have to kill the app and restart it to use it again. These are the sorts of glitches you don’t need when you’re trying to accept someone’s credit card, and you could quickly lose a customer’s trust. Images from the product list disappeared on the PayAnywhere app when it froze. Restarting the PayAnywhere app was the only way to get it to work again, as it wouldn’t respond after freezing. Part of the reason Square became a household name is because it brought payment processing to the small sellers who didn’t have access to a merchant account—and Square made it ridiculously easy to accept credit card payments. The app has easy-to-learn menus and categories, and the language used makes sense. The user experience is an important part of an intuitive interface, and Square gets it right with its POS app. You can create new items for your inventory, apply a discount to sale, and set up sales tax without having any prior experience. Square gets points for designing an app that’s not only user-friendly, but also stable. I’ve never had it freeze or crash, and payments always go through. The menu in Square’s POS app is easy to read and understand, which creates an intuitive user experience. Although both of these all-in-one payment processors are easy enough to use without help, there may be occasions when you need to contact PayAnywhere or Square for customer support. Square’s support is only available on weekdays, while PayAnywhere has reps on the phone every day. PayAnywhere’s customer support is available every day and at hours you’re likely doing business, which gives them an edge over Square. The live chat option is convenient, but it can take a while for a rep to respond to your questions. Still, this is a feature Square doesn’t offer. The support center for PayAnywhere is a good place to go for basic questions you have about the mobile app, web app, or hardware. Video tutorials are quick and easy to follow, too. Square’s limited customer support hours could lead to frustration, especially when you have a question over the weekend. To add to the frustration, customers must get a customer code before contacting Square, and unless you know precisely where to look (sign in, go to “My Account,” and then “Customer Code”), it could be maddening. The good news is that Square offers one of the most complete support centers with articles and guides to help you find the answer to your question. Plus, the community forum is full of helpful answers from sellers just like you, so you may find someone’s already run into a similar issue and resolved it. This is also a great place to request features from Square. There’s power in numbers, so if more sellers like the feature and want it, Square might implement it. From the user experience to trust and reliability, customers have a lot to say about PayAnywhere and Square. Overwhelmingly, in customer reviews, Square is the favorite. Part of that has to do with Square’s reputation as being easy to use and a foundation of trust from customers who swipe, dip, or tap their cards on little white square devices every day. On paper, PayAnywhere seems like it should pull ahead of Square with its competitive rates and similar app, but when you read PayAnywhere reviews, it becomes clear why it’s lagging behind. Many reviewers noted that PayAnywhere’s app and mobile card reader are easy to use, and the rates are reasonable, but that’s where the praise ends. The additional fees, requests for information to approve a sale, and frequent holds on funds are all common issues merchants have with merchant services providers. The app’s glitches are also pointed out, and reviews on the Apple (3.2) and Google app (3.8) stores are lower than Square’s. Overall, users who took the time to leave Square reviews had positive comments for the app and service. Ease of use and Square’s wealth of features are commonly called out as being the reason many customers like Square. The biggest issue customers faced with Square was with customer service. It can be difficult to get a hold of someone when you need help, and the level or value of help is sometimes hit or miss. Still, the reviews on the Apple (4.7) and Google (4.6) app stores are high—and with 30,000 to 100,000 ratings. In the battle of PayAnywhere versus Square in terms of price and features, you could go either way because the two payment processors are so similar and competitive. The free basic POS apps from both companies are easy to use and come close to equal in their offerings. Square is more intuitive to use, though, and PayAnywhere only offers two integrations and no add-on features. Square is an excellent payment processor and free POS system for any small business owner who’s getting started. It includes support for ecommerce sellers as well as mobile and storefront sellers. You can get started accepting payment as soon as you create an account with Square. Sign up for free today. Amy is a staff writer at Fit Small Business, who focuses on technology products and software for small business. She has written for Business.com, Tom's Guide, and Top Ten Reviews previously. Amy also has a background in features journalism, including in television, newspaper, and online. She still considers herself a food critic, and she spends her time off cooking, baking, and gaming.